when i got these red velvet babies, my only thought was to provide a plain canvas (thus the white outfit, HA!) where the shoes can take centerstage and get the attention they truly deserve. planning on a black canvas next! i am super stoked to be in Berlin tomorrow but not so excited about the packing (I HATE PACKING!) since i heard it´s super cold there right now. the sun is shining in my side of town. bummer! PS: the Carine Roitfeld book + college jacket giveaway is still ON so head over to this post if you still haven´t joined. Hey, those wedges are killers :) You look great as always dear! oh I adore these velvet shoes so much. they are sooo cool ahhh I've never seen some like that. you definitely have a thing for showing us the best shoes that are out there! Hoffentlich sehe ich dich in Berlin! Bist du an allen vier Tagen vor Ort? I'm in love with your vest! Ces chaussures sont sublimes! 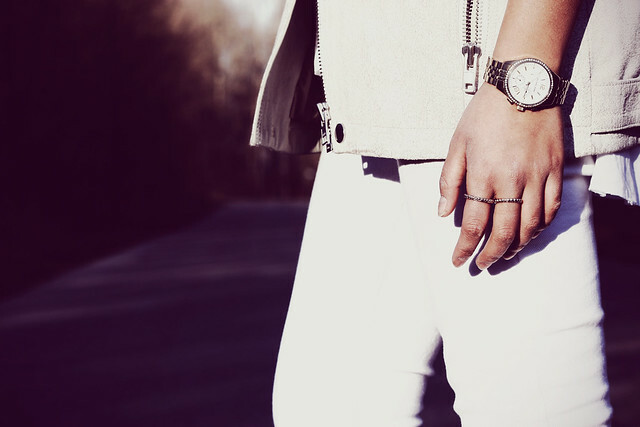 Et jadore le total look white en hiver. You SUPER STUNNER you, Mannnnn this look is from head to toe AWESOME. I call you secretly my Helmut Newton Girl, sometimes it looks with your posts as if you brought my one of my favorite photographer's of all time Helmut Newton back to the living!! Lovely shoes... I really like it! 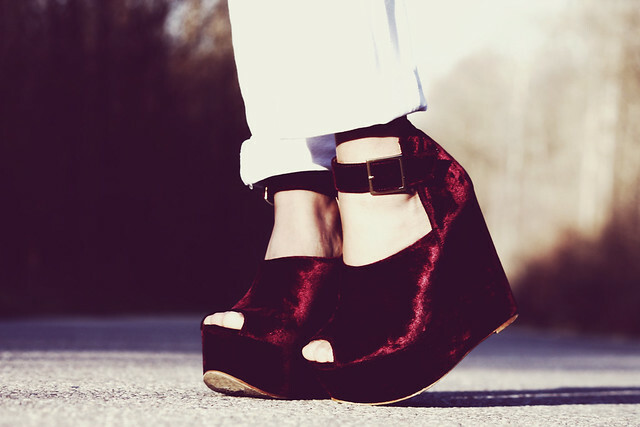 Those shoes are made by angles in heaven,perfect wedge,perfect,color,velvet...can't ask for more! love the shoes & vest!! new post on my blog: I' m waiting for u! check our streetstyle blog based in Munich! I love the H&M Jacket! People with Asian touch look soo good in white, enviable! Most Germans are too pale for wearing white all over, as you might know. the shoes are amazing!! im in love with them! Not the greatest fan of your shoes, but. . the rest of the outfit is just awesome!. 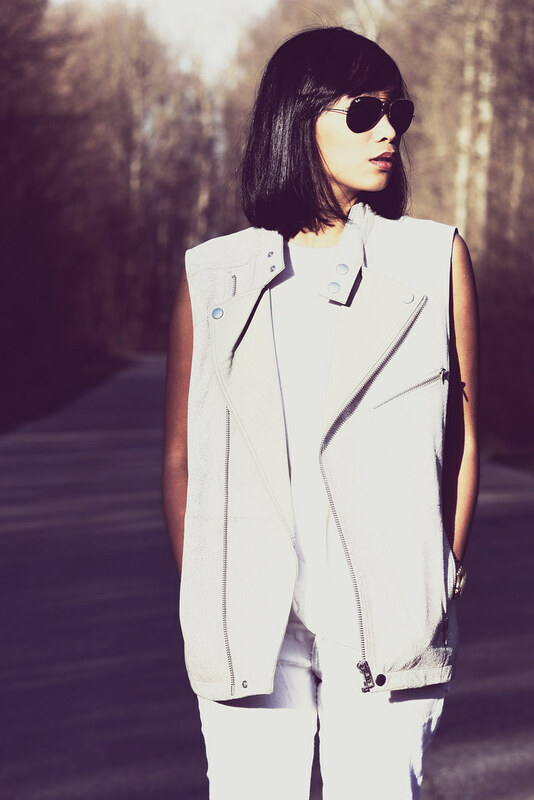 I love the all white palette especially the vest. Really really nice vest. Still love that H&M leather vest! your shoes are amazing, it's a great touch to your white outfit. Velvet shoes are entirely sophisticated, it looks great on your outfit! I also think that red velvet pumps is a match for a little black dress like this http://www.missesdressy.com/dress-jonathan-kayne-p-19394.html. I can't wait to have this shoes and this dress! Great Post! Keep it up, so inspiring.